What's more American than watching football on Thanksgiving? I personally can't remember ONE Thanksgiving where I haven't watched football. Football is as necessary on Thanksgiving as the Turkey(or Ham in my family). This Thanksgiving on the NFL menu we have three division rivalry games. Bears @ Lions 1230pm ET on CBS: Most families will still be cooking or just finishing up by the time this game kicks off. The Bears come into the game with a solid lead in the NFC north. Chicago is in the driver seat in that division and looks to end the Lions playoff hopes. Detroit plays every year on Thanksgiving and therefore have the most wins (37) of any team on Thanksgiving day. The Lions didn't fare to well against the Bears in Chicago just two weeks ago. Mitchell Trubisky had over 300 yards passing and 3 TDs and stud linebacker Khalil Mack had 2 sacks in the game. The Lions have everything on the line in this game so it should be an exciting one. By the time this game is over hopefully you have a plate in hand. Redskins @ Cowboys 430pm ET on Fox: If you're not eating by now are you guys even celebrating the holiday? If not that's fine because this is truly the main course. The most important game of the day is in the NFC east. Washington currently leads the division but lost it's starting QB Alex Smith, for the reminder of the season last Sunday. That a laundry list of other injuries could hold this team back. Dallas on the other hand is riding high. Coming off a win agains the Eagles and Falcons Dallas is looking to take control of the division and could do just that on Thanksgiving. The last time these two teams met a missed field goal kept them from overtime. The winner of this game could very likely be the winner of the NFC east. Falcons @ Saints 820pm ET on NBC: This is the prefect game to enjoy with dessert. The Falcons haven't had the season they hoped for injuries on defense have hurt them. At 4-6 ATL is fighting for a wild card spot at best. A win here gets New Orleans one step closer to clinching the NFC south. The Saints are the best team in football right now. Lead by Drew Brees, who's playing at an MVP level at an advanced age, this team is almost impossible to stop. Brees will slice this defense into pieces as I slice my pumpkin pie. More Posts From Tell me I'm wrong! Rivers has the Chargers on the rise. Sieman sinks Broncos playoff chances. Washington Nationals journey to a world series. Part 1. Redskins Day one draft grade. 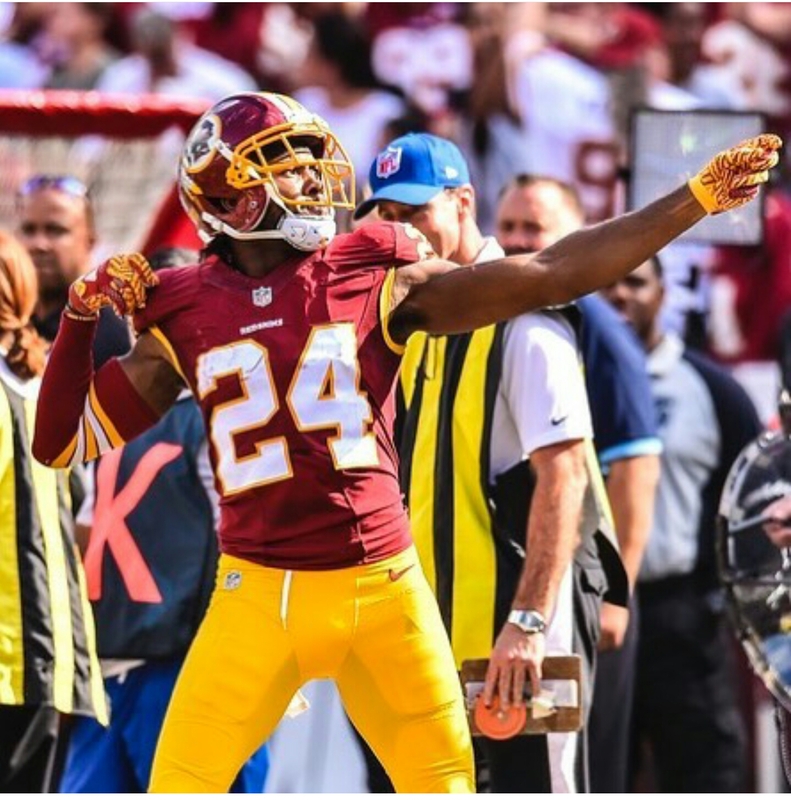 Despite free agent pick ups Redskins still look to improvethe defense.